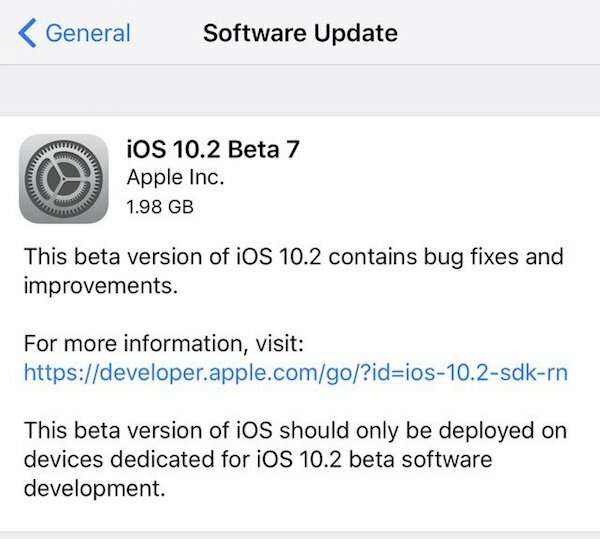 Only two days after releasing beta 6 seed, Apple has now made available for download iOS 10.2 beta 7 for both registered users of Apple Developer Program, as well as those public testers registered on Apple Beta Software Program. 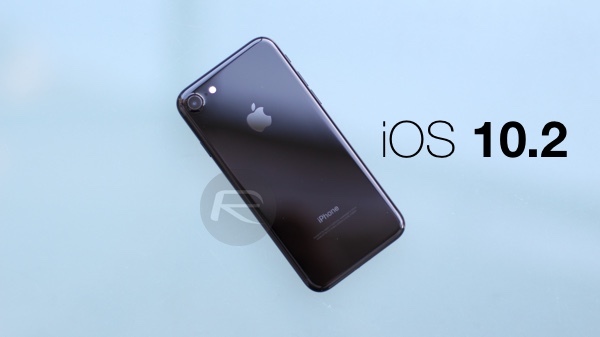 This release also comes only one day after Apple officially launched Single Sign-on feature for iOS 10.x devices, a feature which was initially part of iOS 10.2 betas when it was still in beta and being tested on the said firmware before its eventual rollout to everyone on other versions of iOS 10. Seeing that beta 7 OTA is weighing around 2GB in size, it’s likely that this is the final build of iOS 10.2 which will also rollout globally to all iOS users with compatible iPhone and iPad devices sometime next week. Apple has already confirmed that it’s going to add a special diagnostic software into its next firmware release scheduled for next week in order to analyze battery shutdown issues affecting some iPhone 6s units. iOS 10.2 is largely being touted as the firmware release Apple will drop next week with diagnostic software built right in. Apart from this aforementioned battery diagnostic tool and Single Sign-on feature, iOS 10.2 also features brand new Unicode 9 emojis, all-new TV app, SOS calling feature for users in India, user interface tweaks to Music app, two new full-screen iMessage effects for Apple’s Messages app, and more. If you have a configuration profile installed for iOS betas, simply heading to Settings > General > Software Update on your iPhone or iPad should get you to iOS 10.2 beta 7 OTA update. For those new to installing betas can head over to either developer.apple.com, or beta.apple.com to get onto the latest iOS 10.2 beta. We’ll update this post with info on new features and changes that we spot in beta 7 seed of iOS 10.2. Stay tuned. Update x1 | Here’s what is new in iOS 10.2 beta 7: iOS 10.2 Beta 7: What Are The Changes? My beta 7 update is 434.6mb on a 7 Plus, not 2gb.